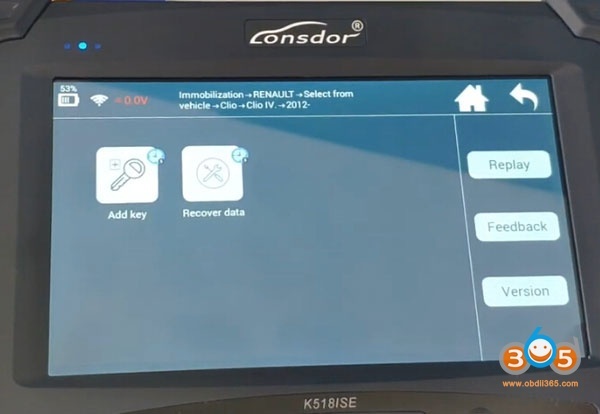 Someone tested add key Renault clio 4 by Lonsdor K518ISE? 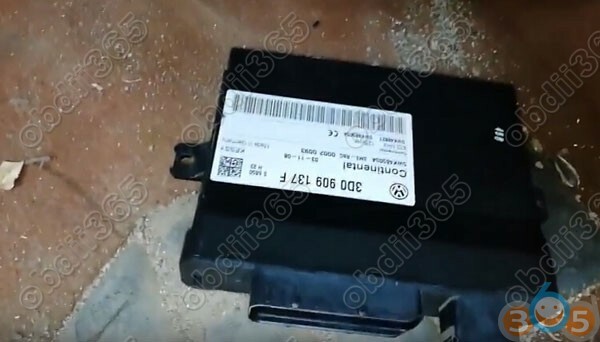 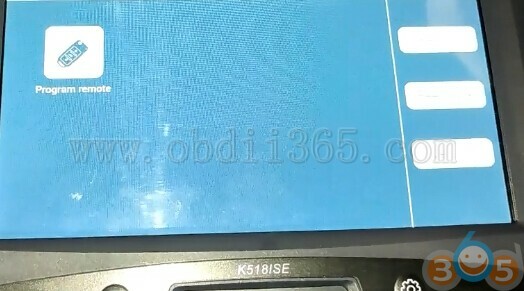 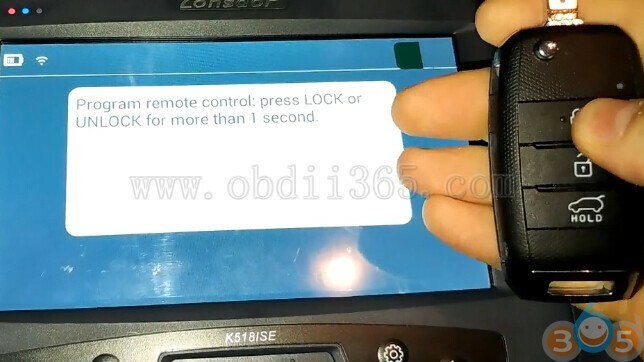 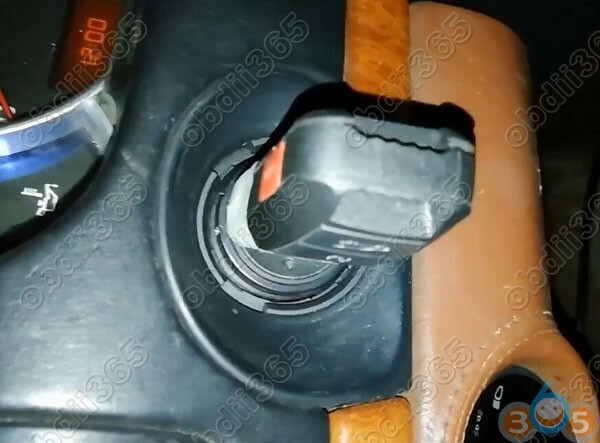 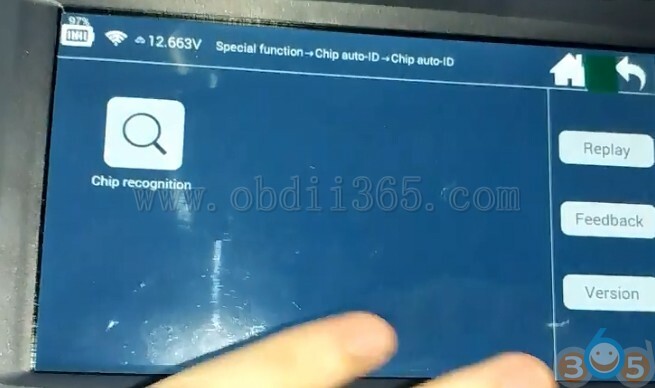 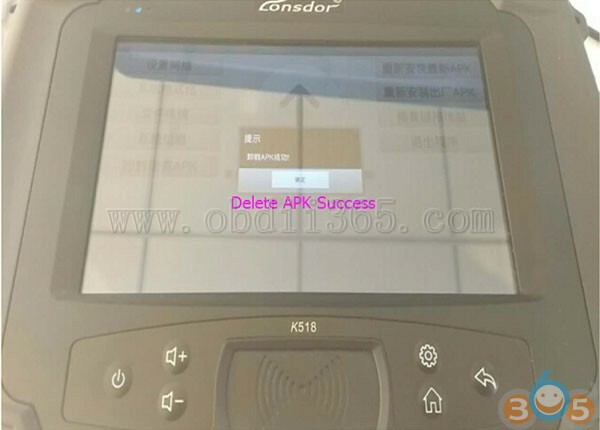 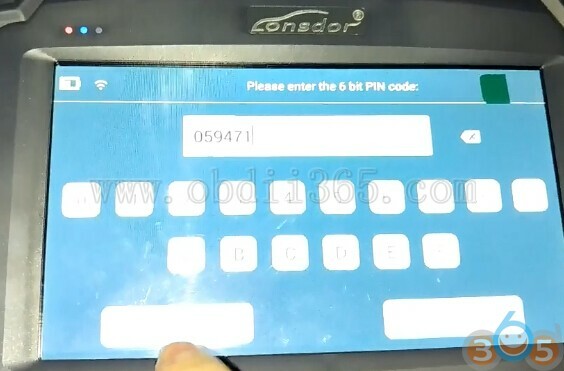 This entry was posted in car key programmer and tagged Lonsdor K518, Lonsdor K518ISE on March 18, 2019 by obd365. 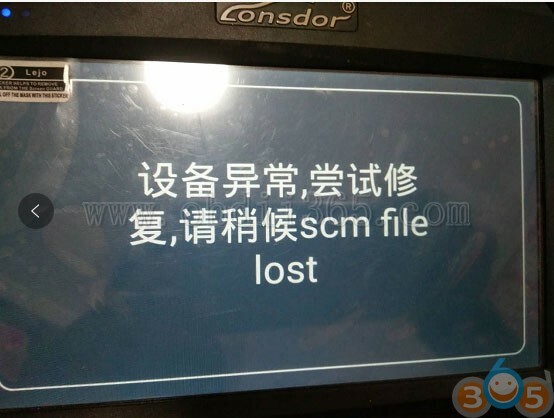 Here’s the factory solution to Lonsdor K518ISE scm file lost error when trying to run an upgrade. 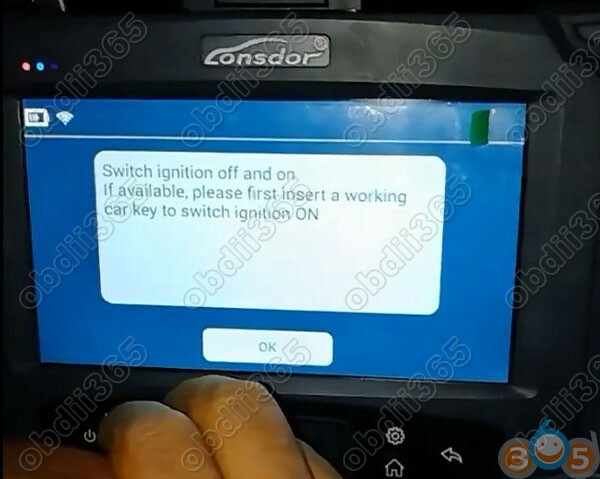 This entry was posted in car key programmer and tagged Lonsdor K518, Lonsdor K518ISE on December 7, 2018 by obd365. 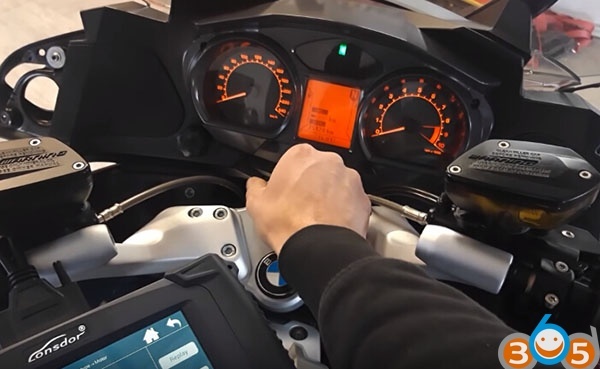 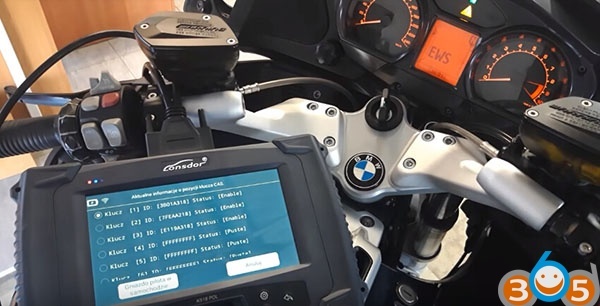 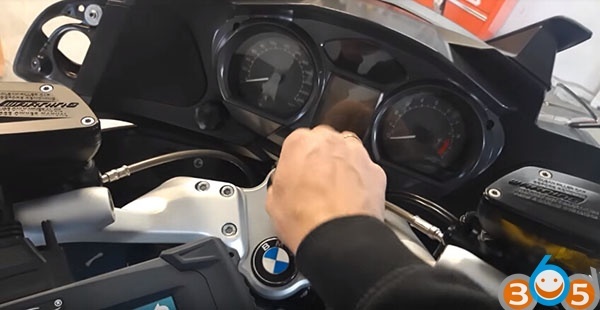 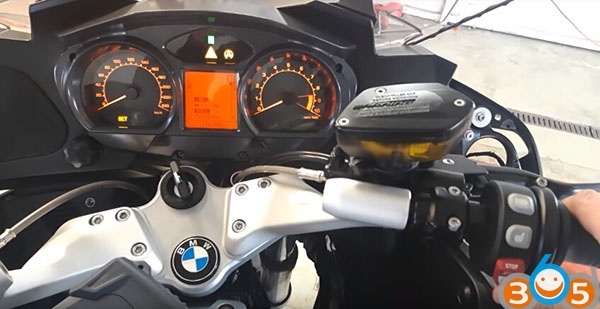 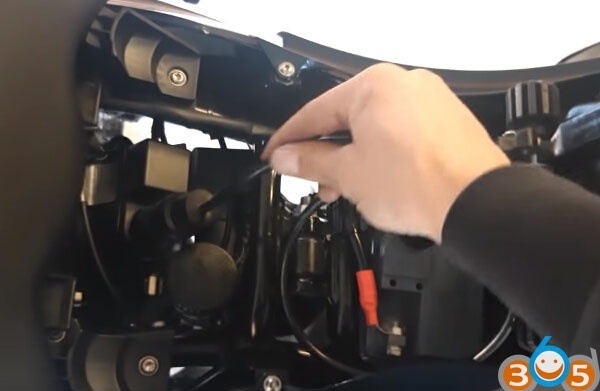 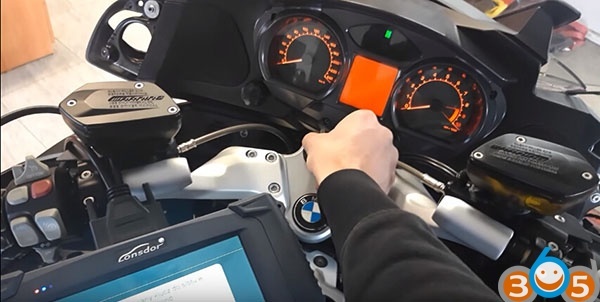 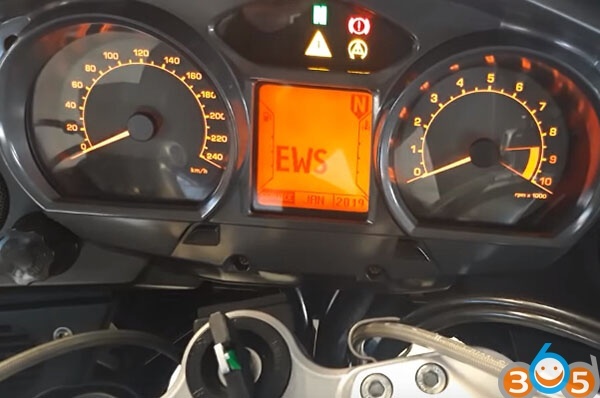 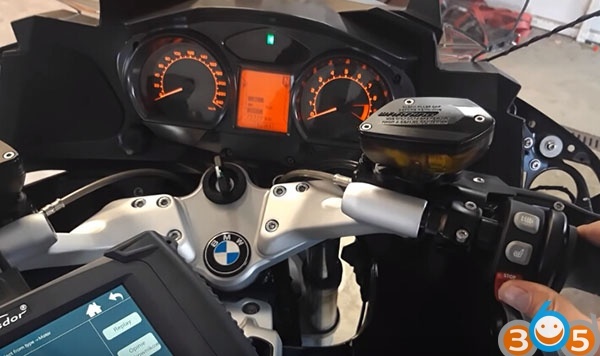 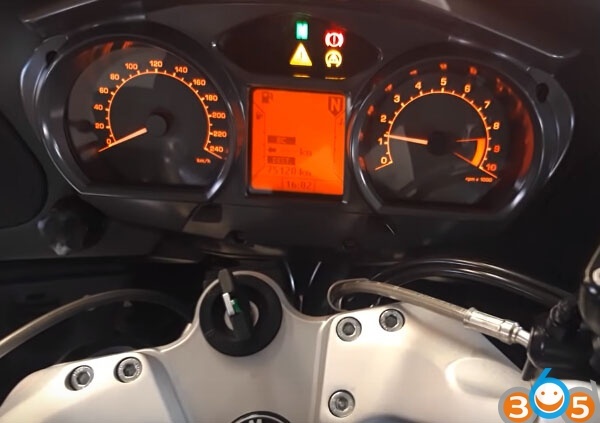 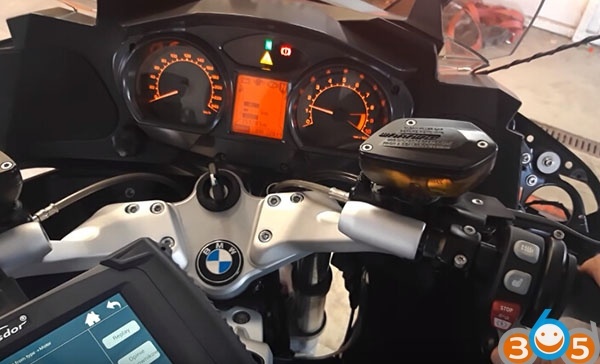 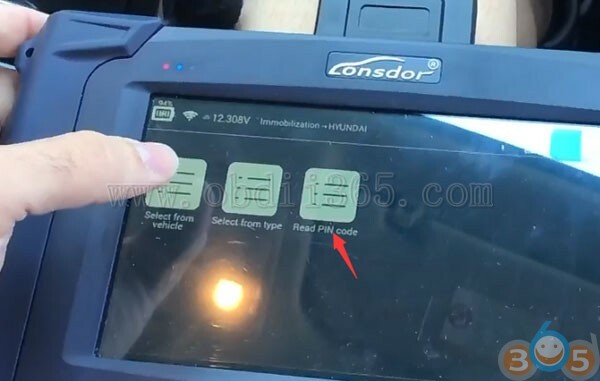 This entry was posted in car key programmer and tagged Lonsdor K518, Lonsdor K518ISE, Motorcycle key programmer on November 1, 2018 by obd365. 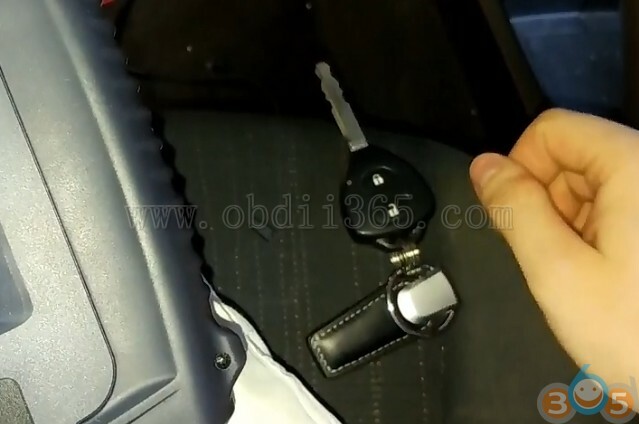 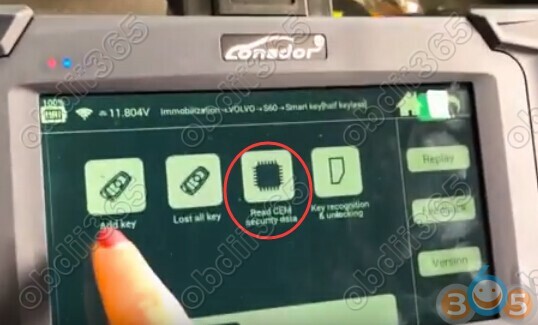 The task is to make a duplicate of the key for the Hyundai Creta year 2018 with key ID60 chip (80 bits), the chip and remote control programming are performed by the Lonsdor K518ISE key programmer. 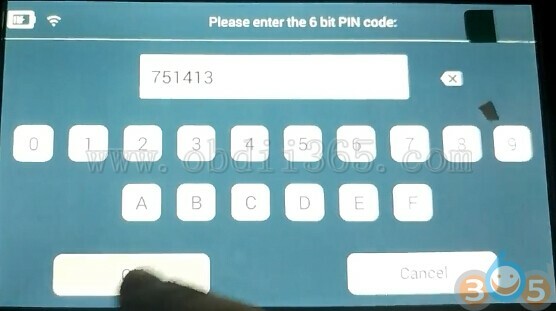 Note: Pin code is required. 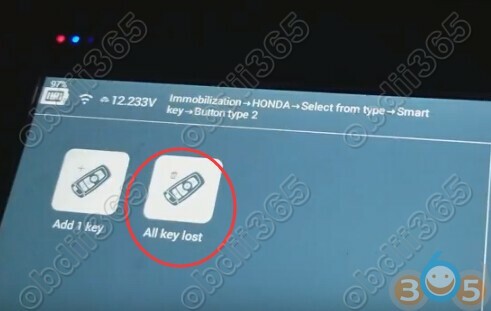 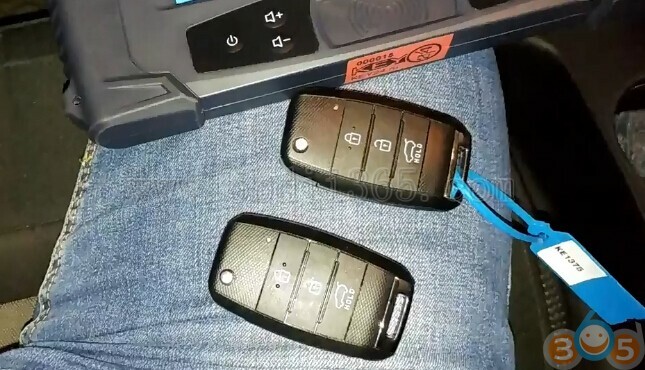 Both keys can start vehicle. 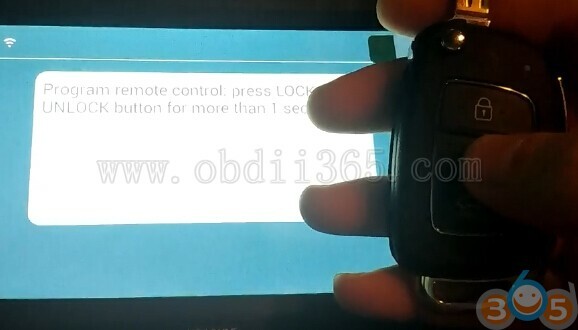 Test the remote, working no issue!!! 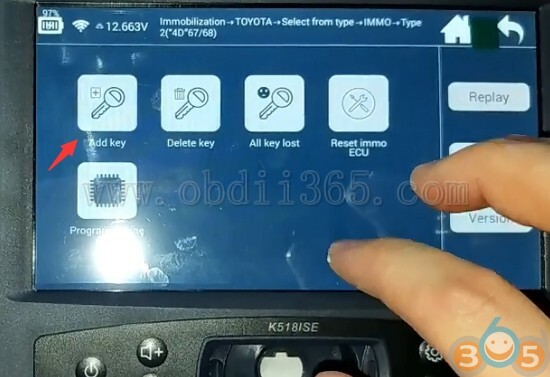 This entry was posted in car key programmer and tagged Lonsdor K518, Lonsdor K518ISE on September 12, 2018 by obd365. 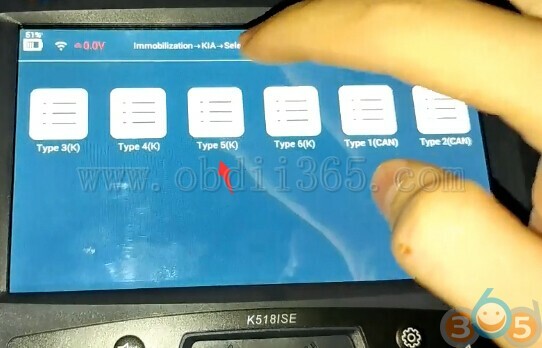 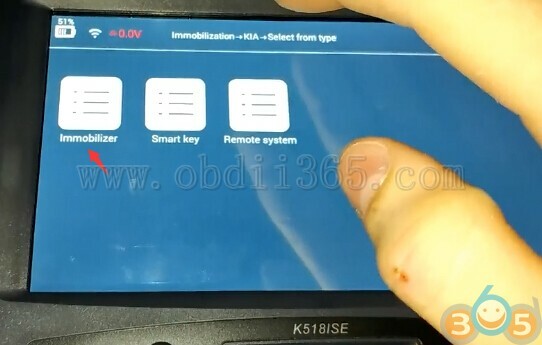 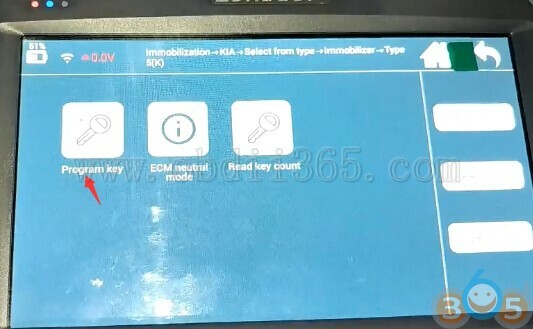 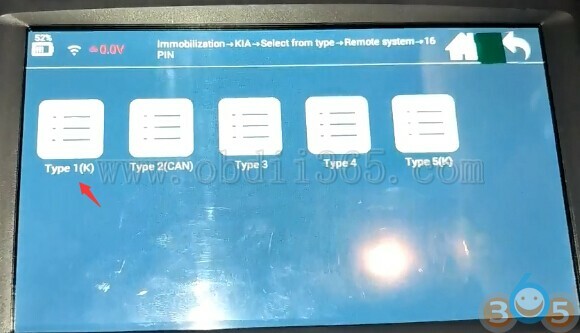 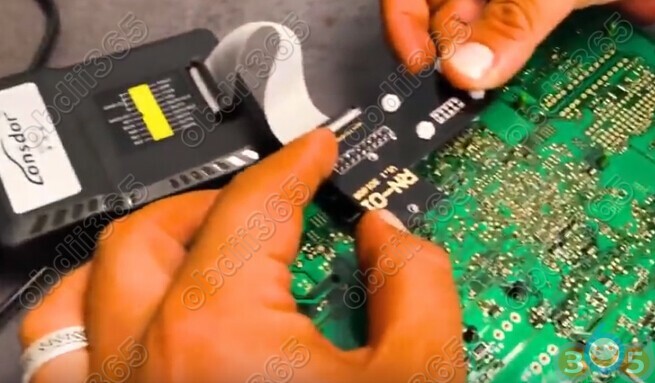 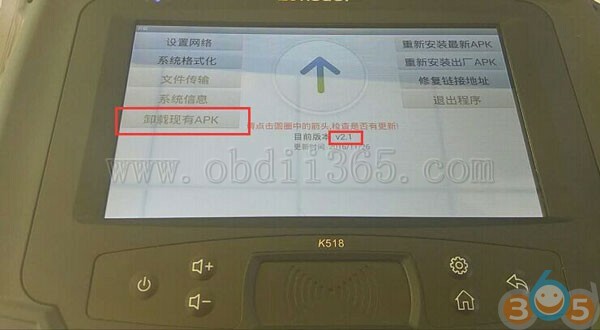 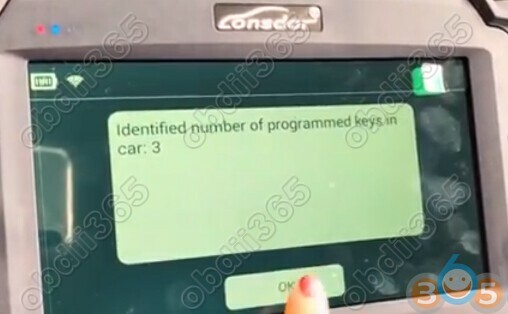 The task is to duplicate a key for the Kia Ceed year 2015 with the key ID60 chip (80 bits), the chip and remote control programming is performed by the Lonsdor K518ISE key programmer. 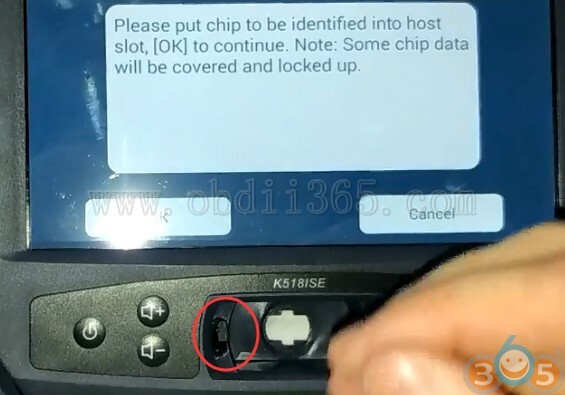 First you need to read Pin code before programming. 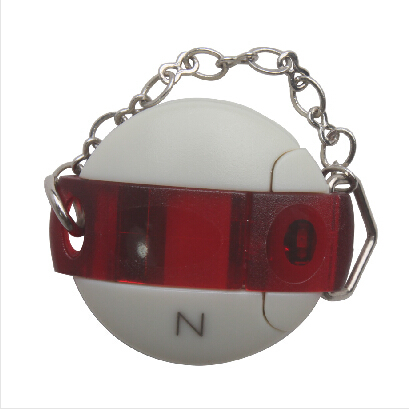 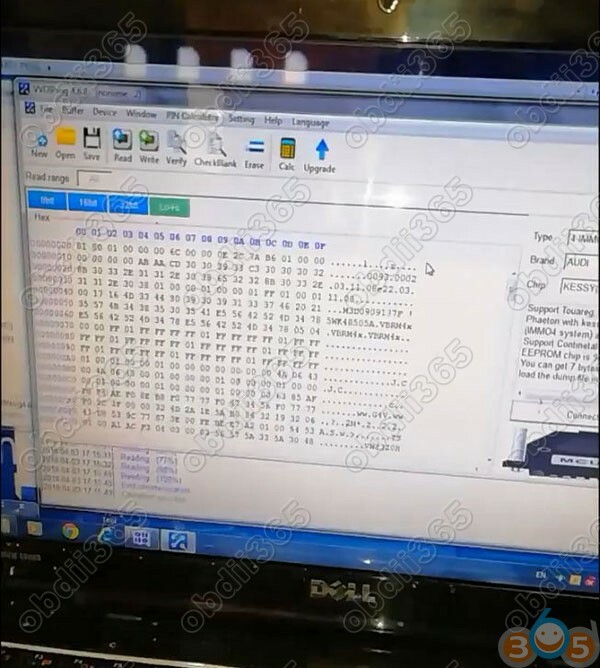 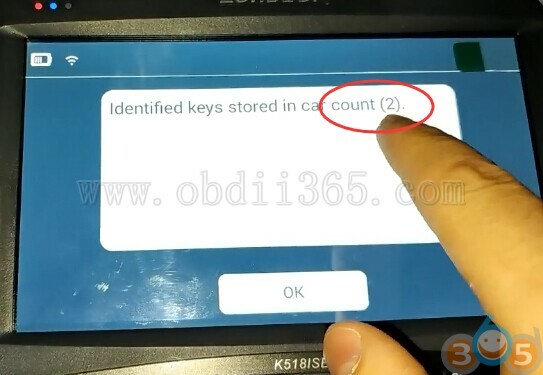 Try to calculate pin code with Hyundai/Kia pin code calculatorUSB dongle. 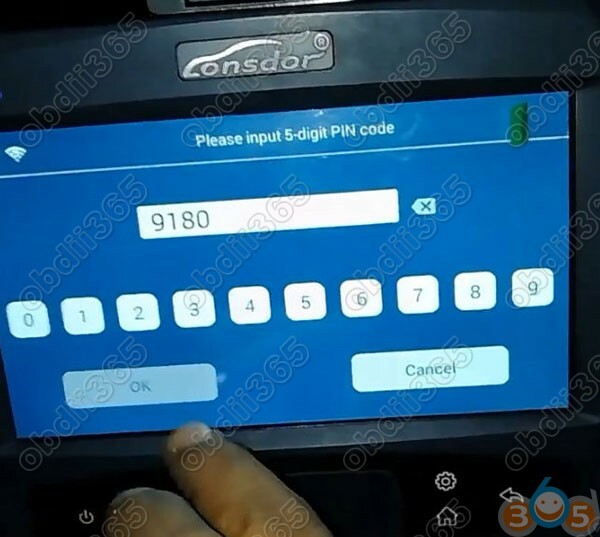 This pin code calculator will pull out pin code for Hyundai/Kia from year 1996 to 2016. 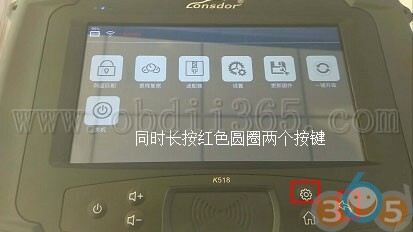 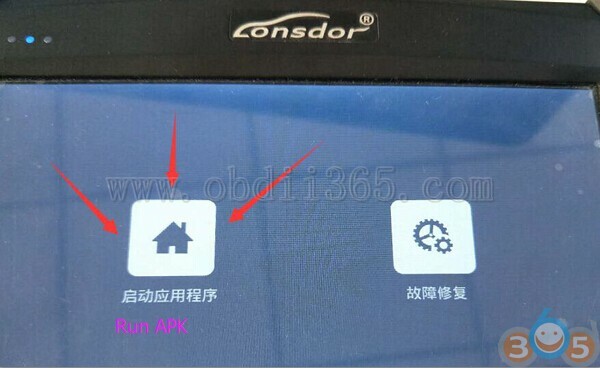 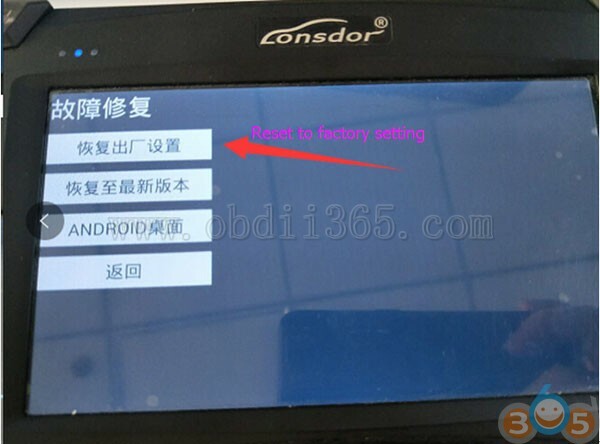 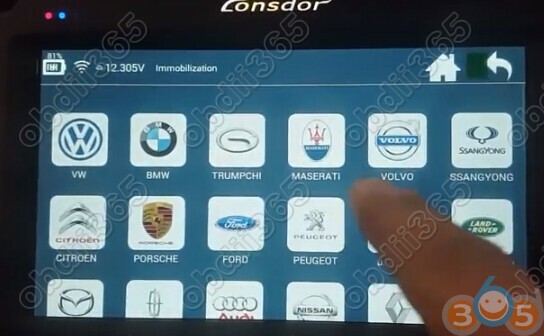 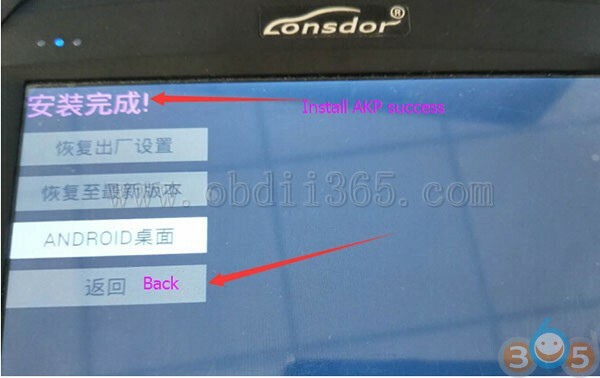 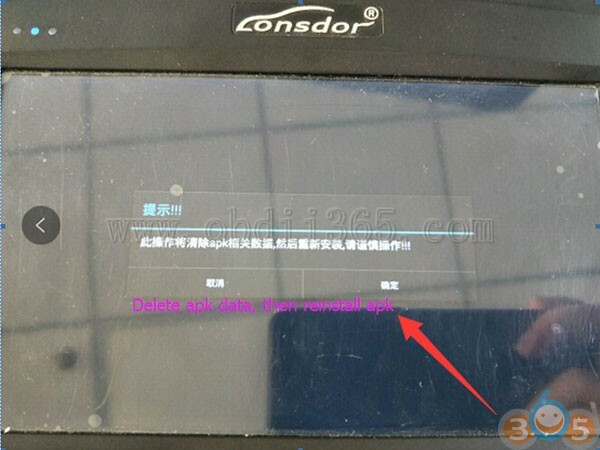 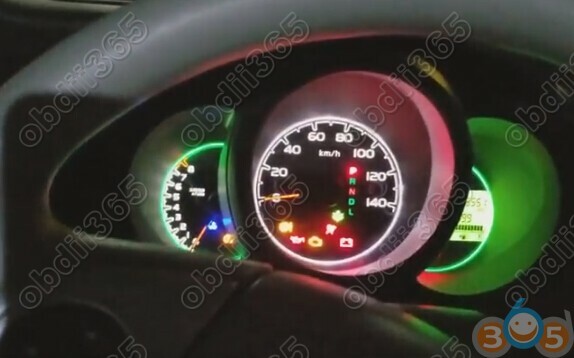 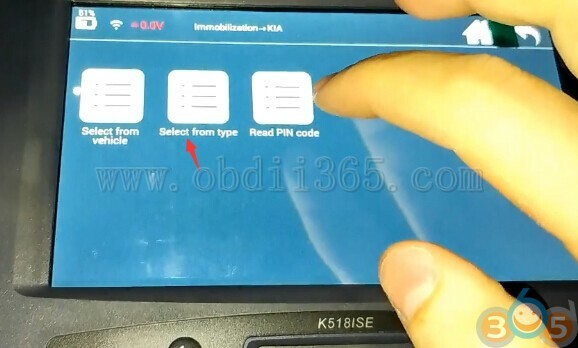 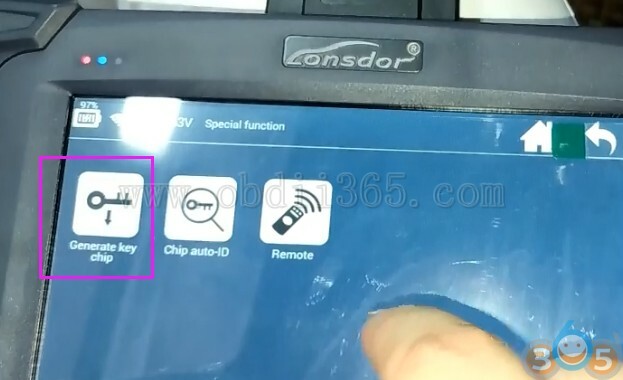 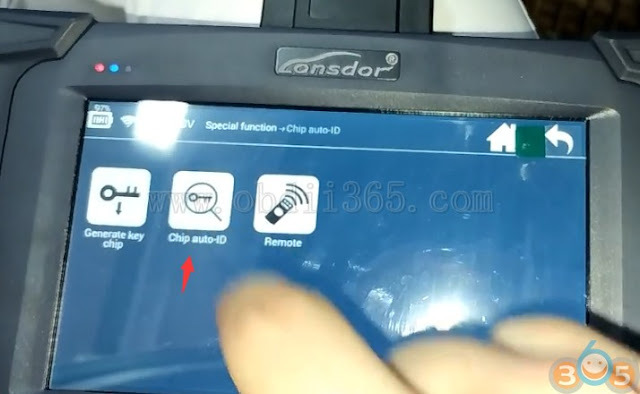 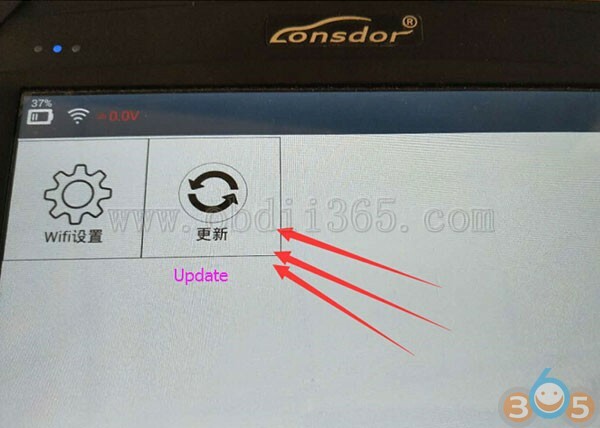 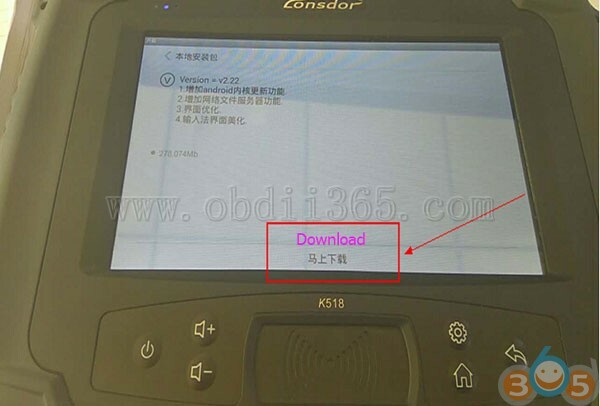 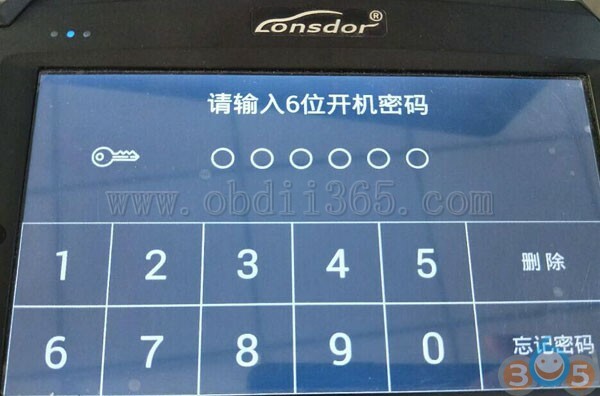 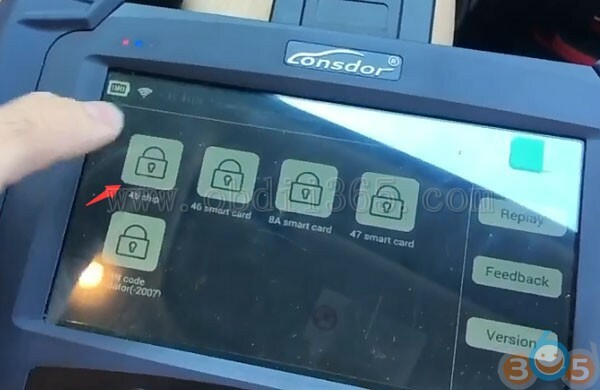 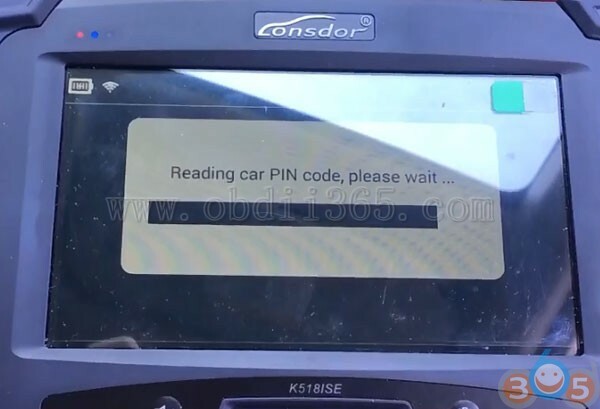 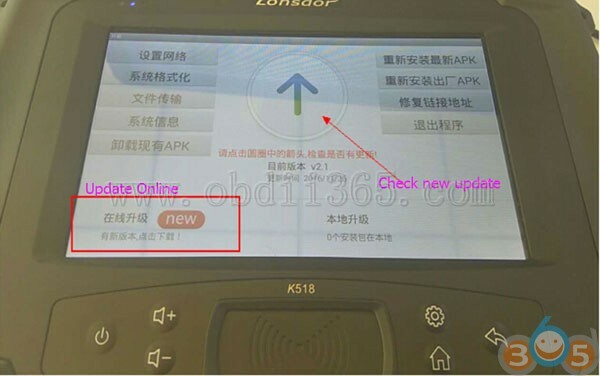 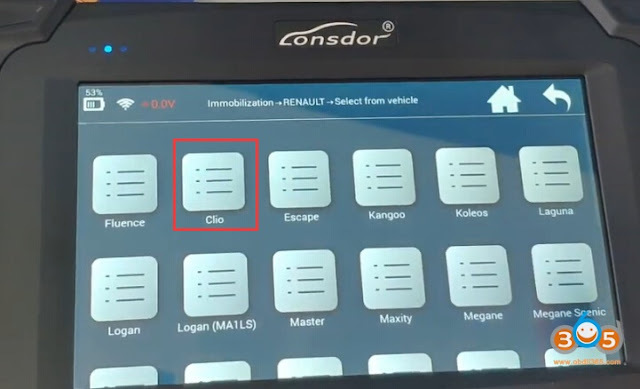 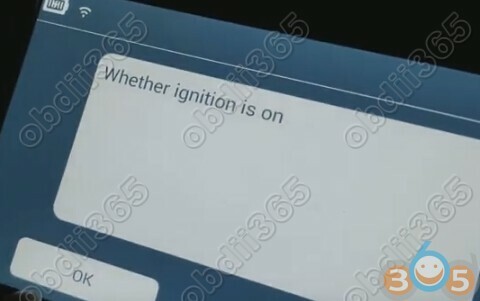 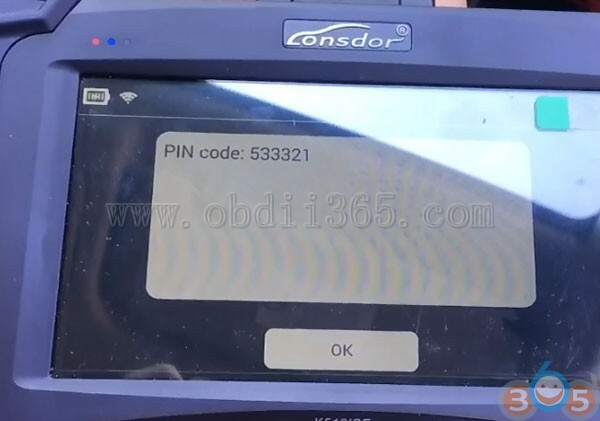 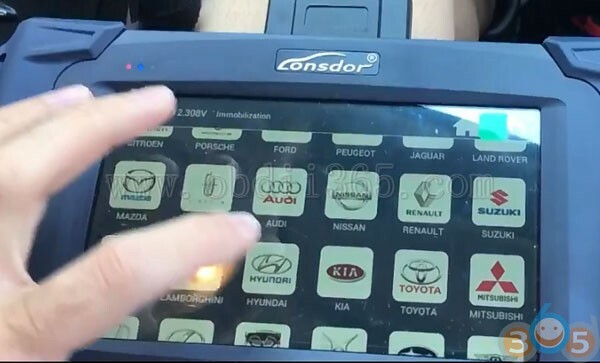 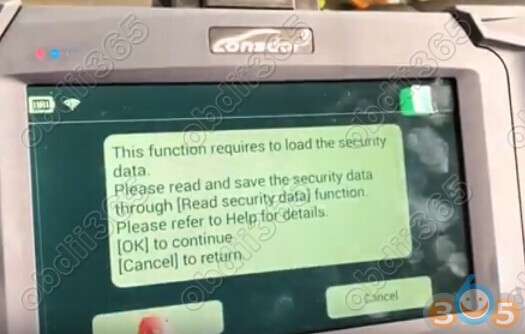 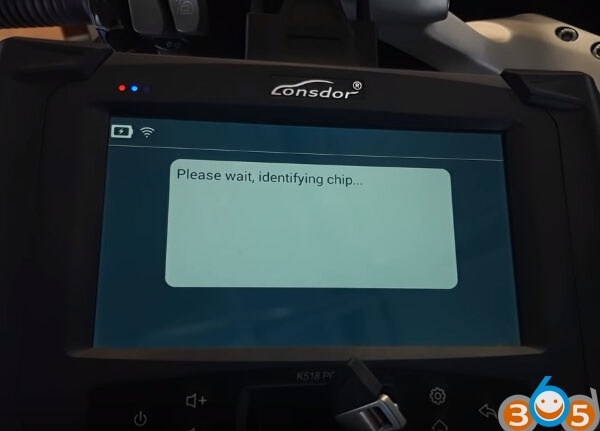 Lonsdor is not able to read Kia Pin code ID60. 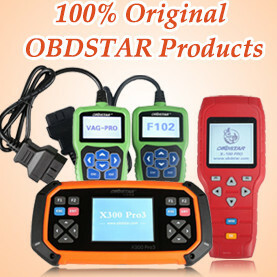 If you don’t know which type to choose from, try one by one. 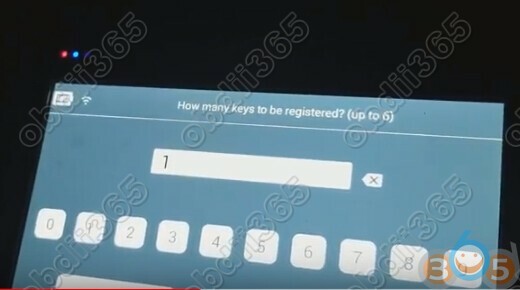 If you selected the wrong type, it will not read key number or give communication failure error. 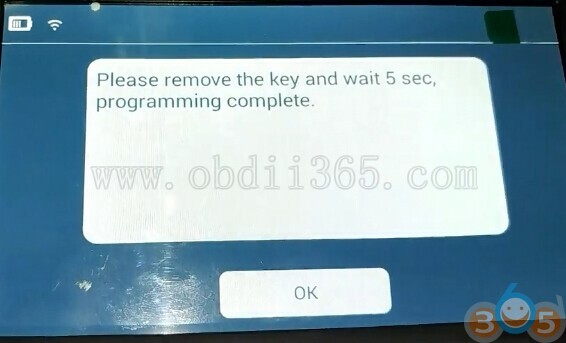 Remove key and wait for 5 sec, program complete. 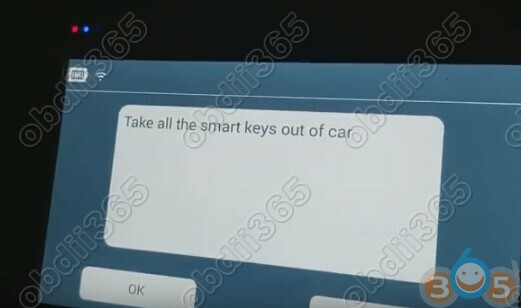 Both keys can start car. 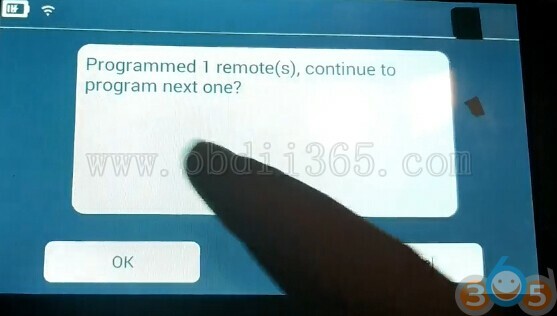 Again if you don’t know which remote type to choose, try them one by one. 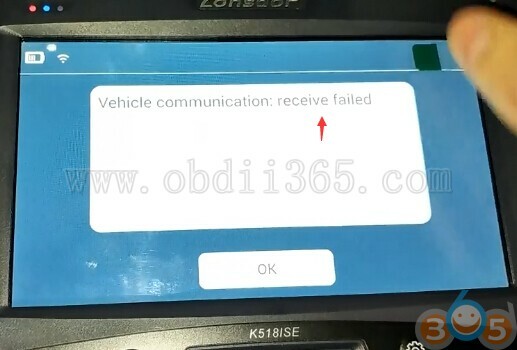 If select wrong remote type, it will display “connection failed” or “vehicle no respond” error. 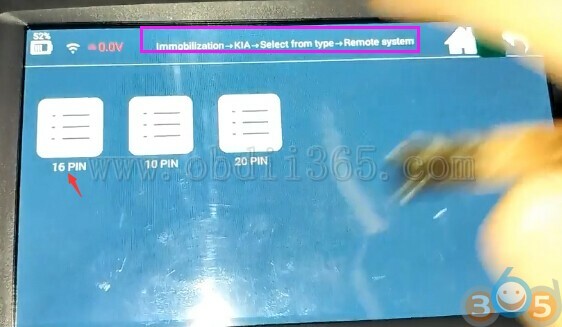 Here I selected Remote Type 1 (K), it worked. 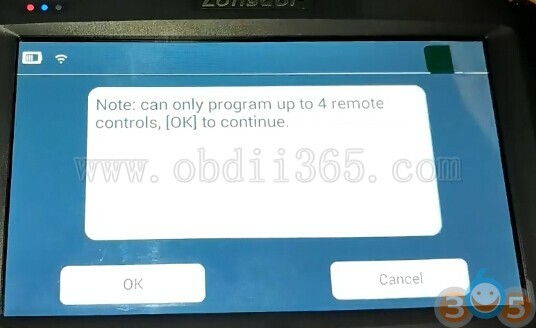 Up to 4 remotes can be programmed. 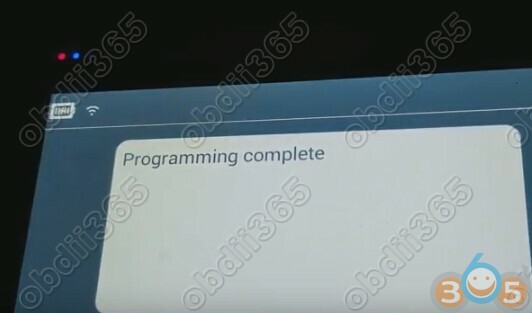 Program 1st remote complete. 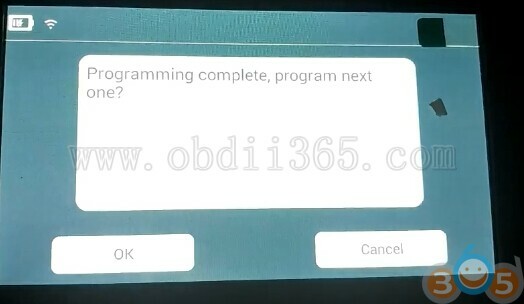 Program next one. 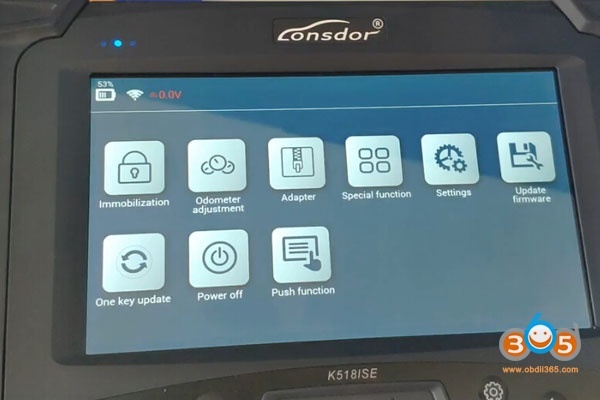 This entry was posted in car key programmer and tagged Lonsdor K518, Lonsdor K518ISE on September 4, 2018 by obd365. 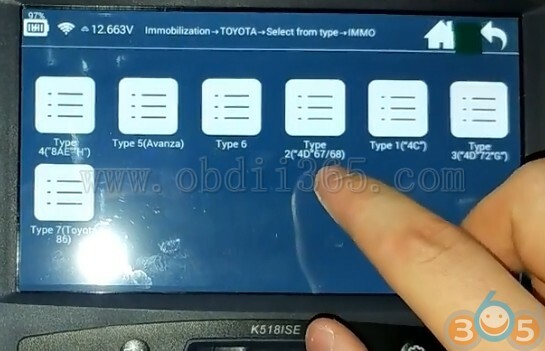 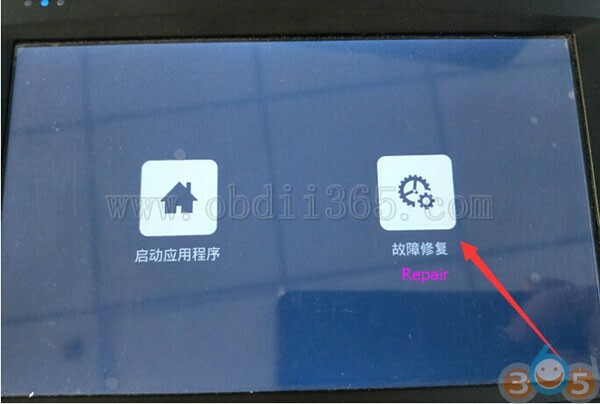 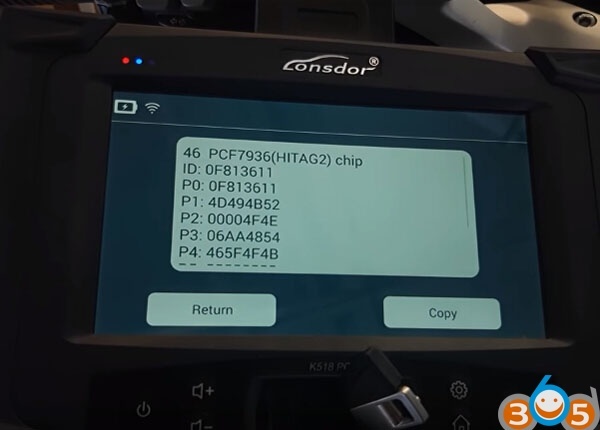 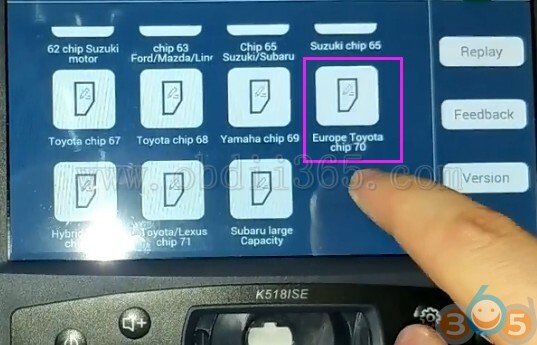 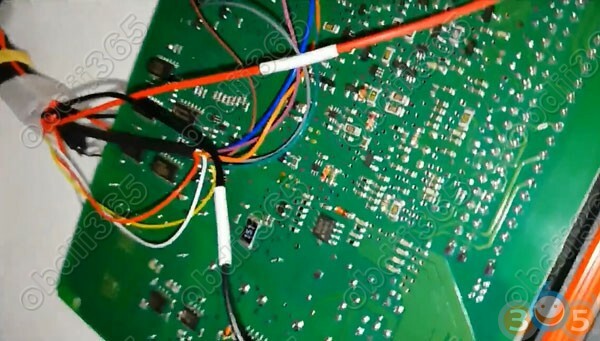 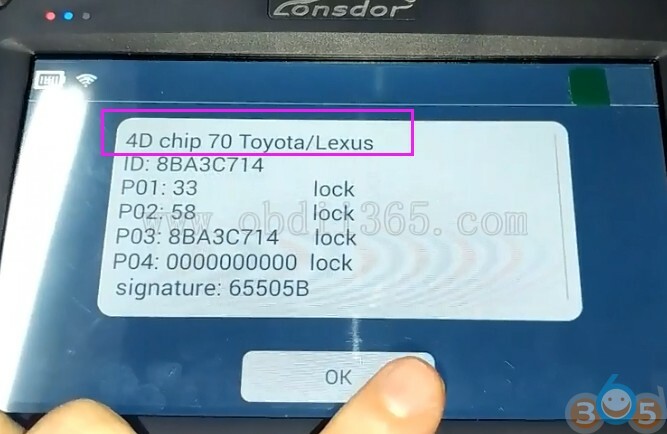 Here’s the guide to make a chip key on the Toyota Auris 2009 with 4D70 chip using Lonsdor K518ISE key programmer. 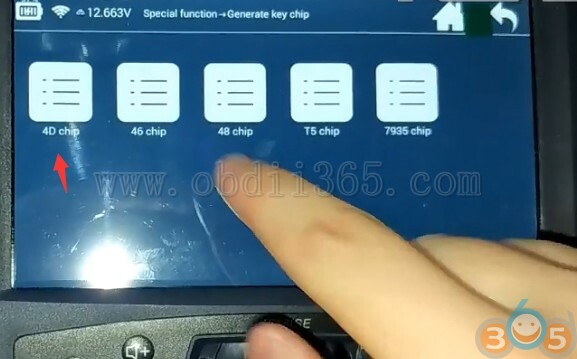 Put the normal 70 chip to the Lonsdor host slot. 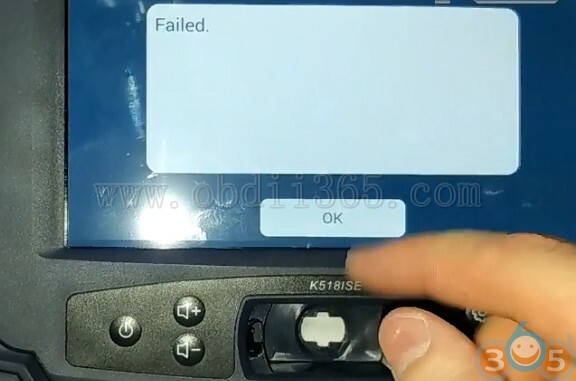 But K518 failed me !!! 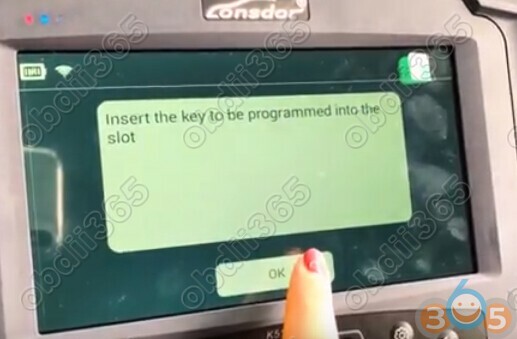 So this time I try to program key from IMMO menu. 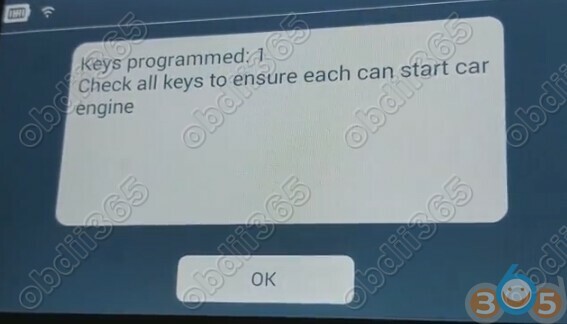 A master key is required before deleting or adding other keys. 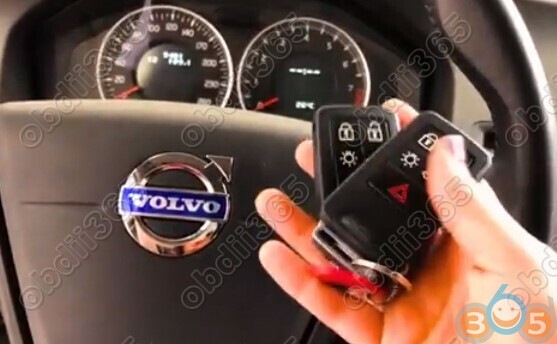 How to identify a key is a master or a valet key? 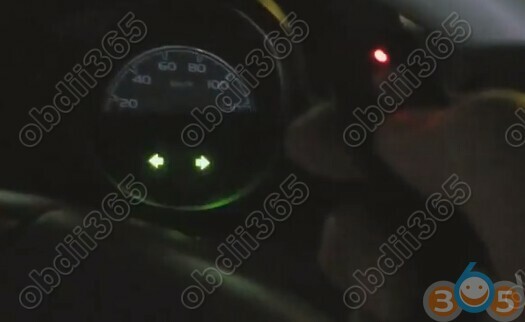 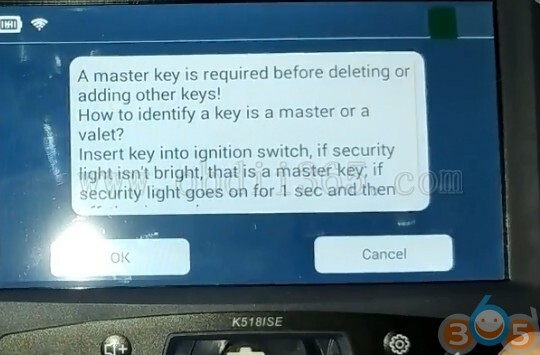 Insert key into ignition switch, if security light does not flash, that is a master key. 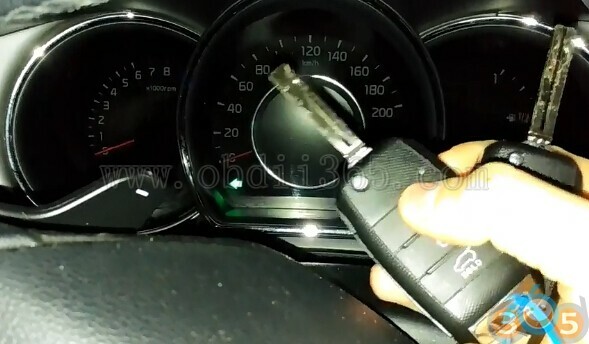 If security light goes on for 1 sec and then off, that is a valet key. 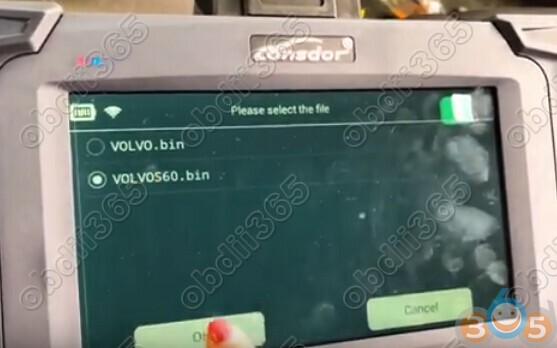 This entry was posted in car key programmer and tagged Lonsdor K518, Lonsdor K518ISE on August 21, 2018 by obd365. 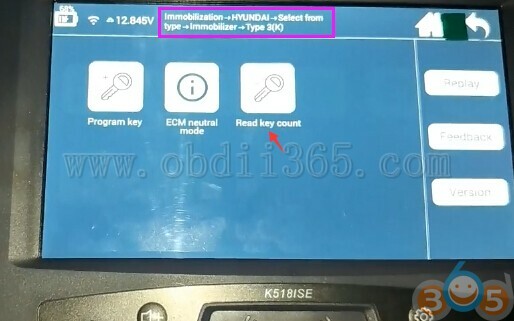 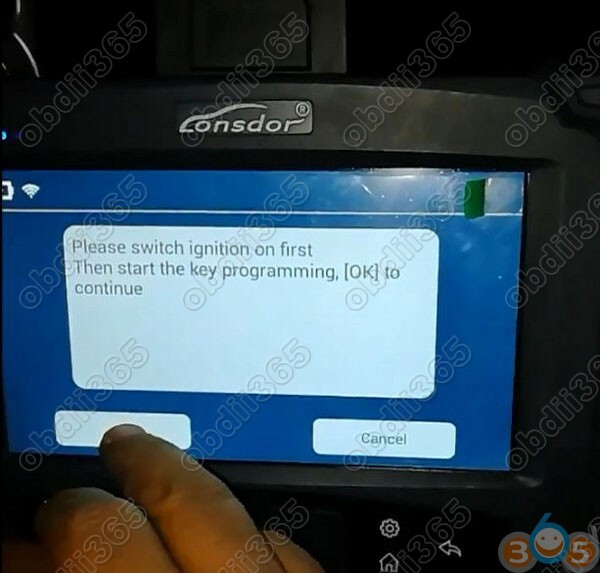 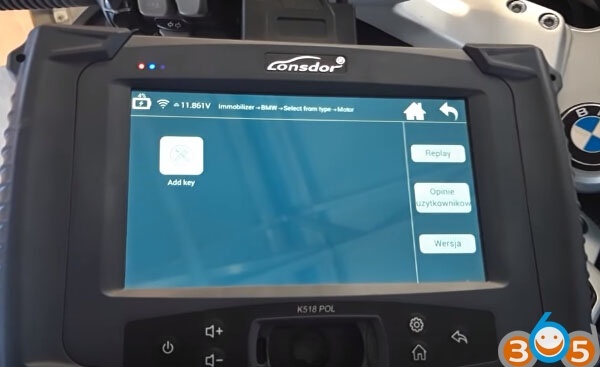 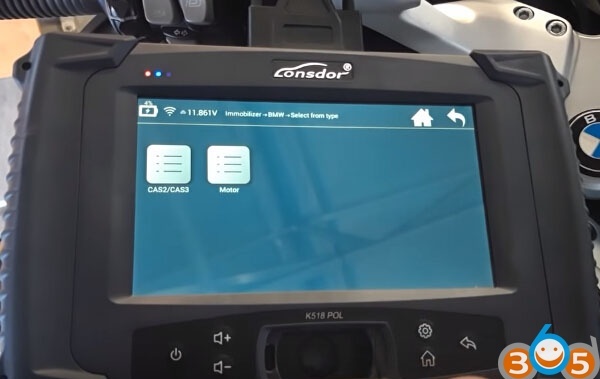 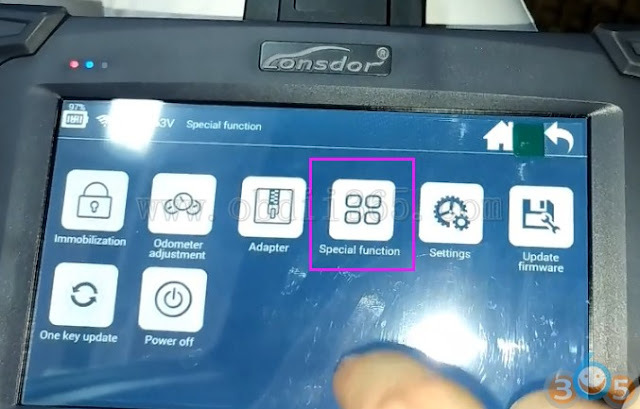 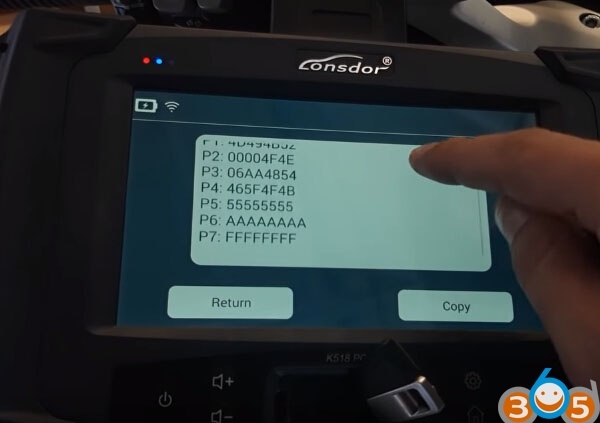 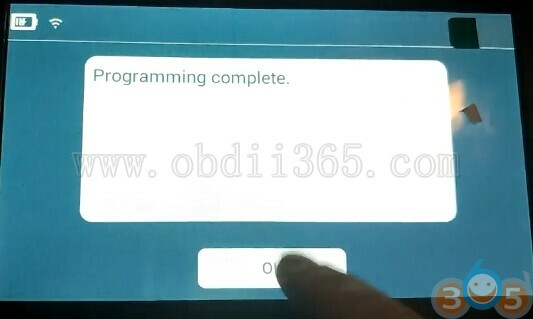 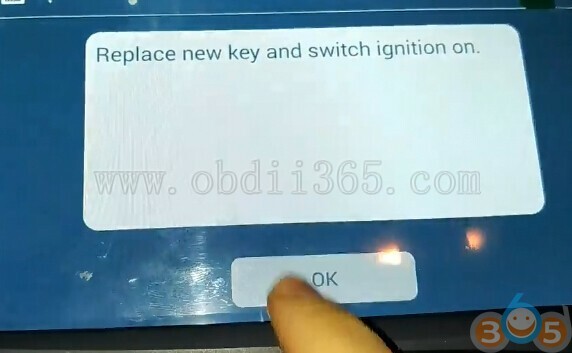 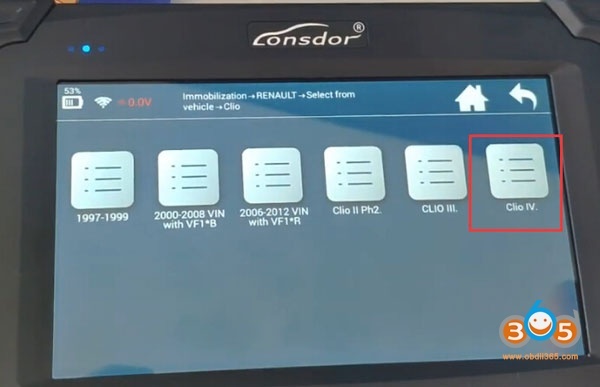 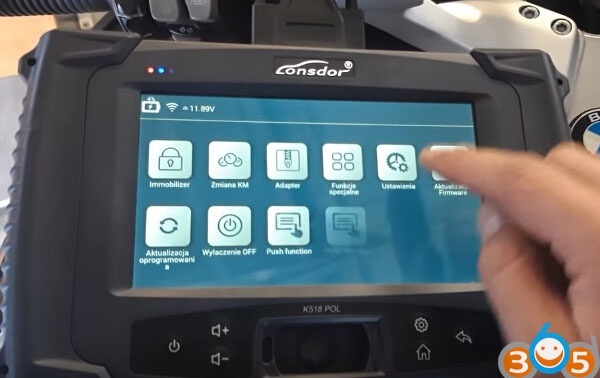 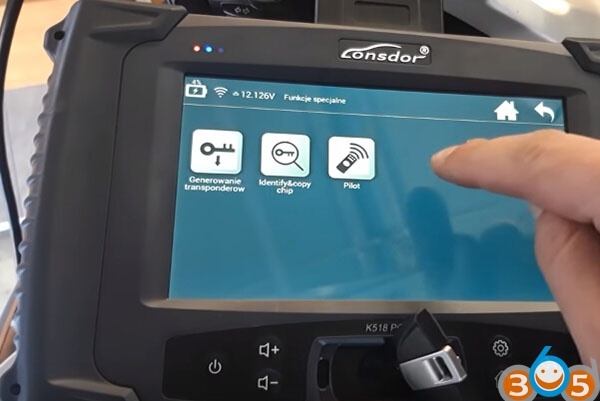 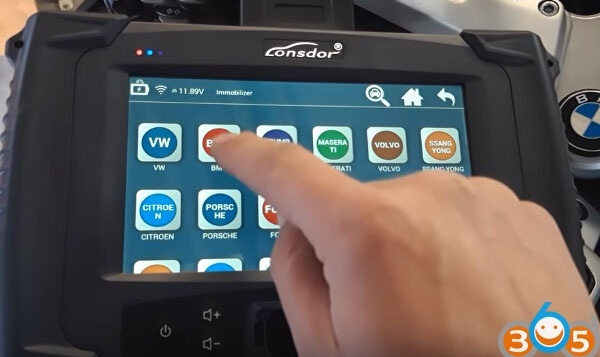 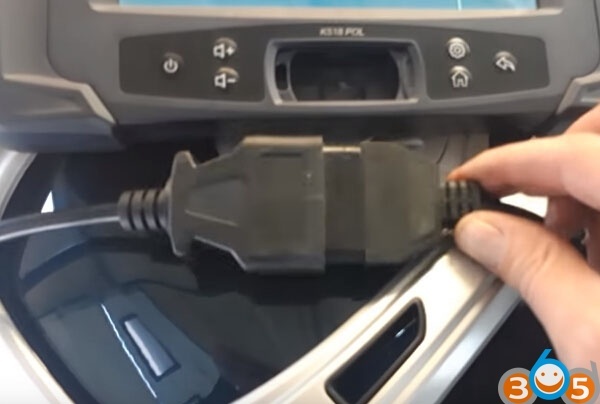 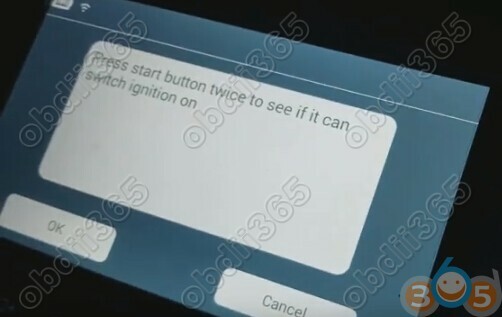 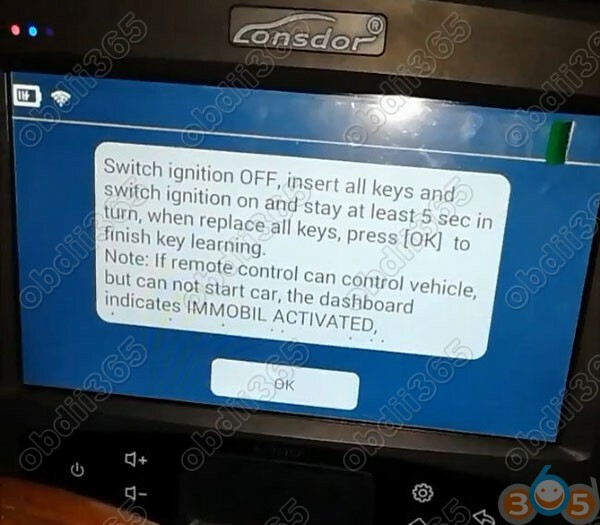 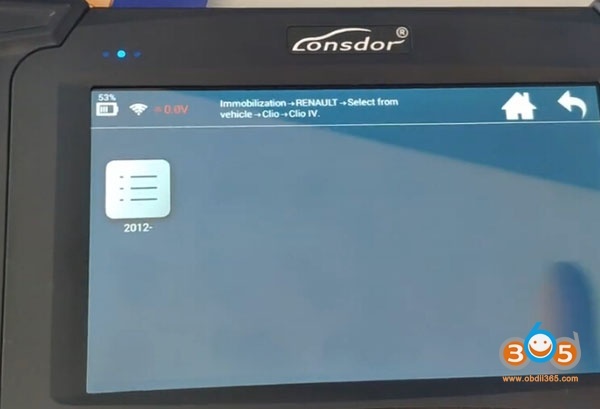 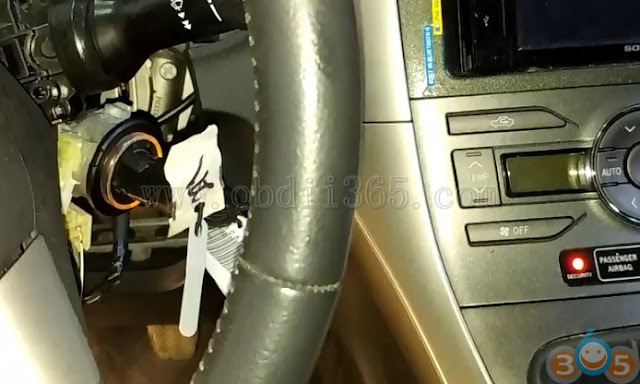 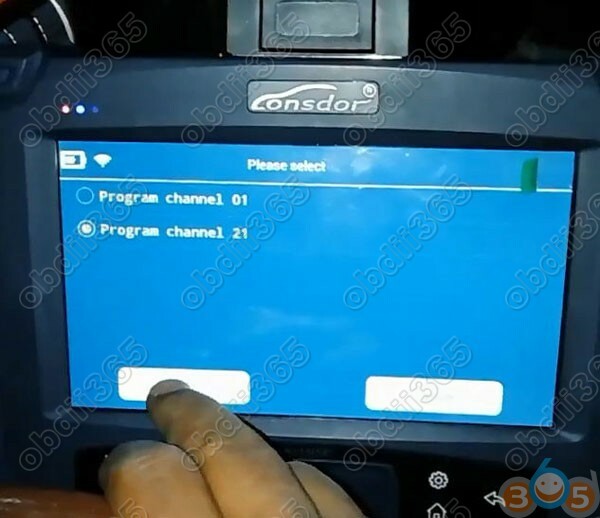 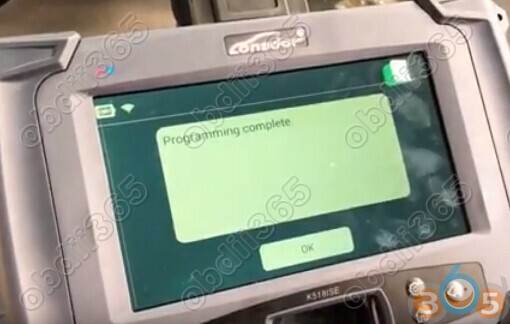 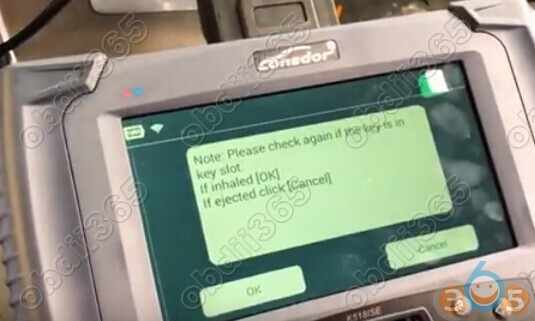 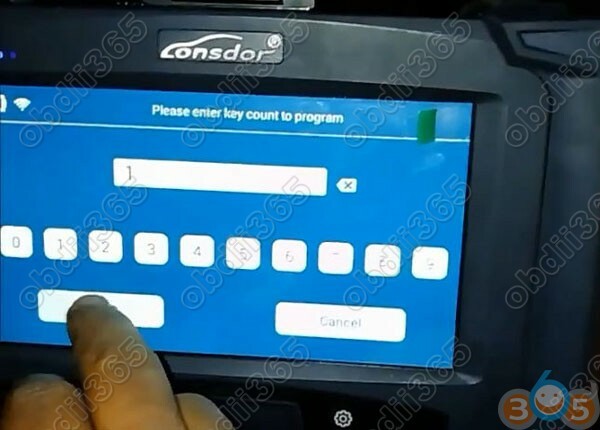 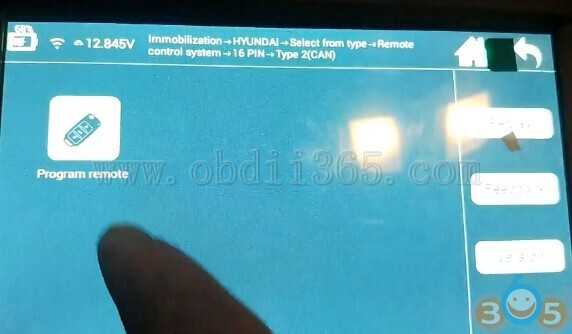 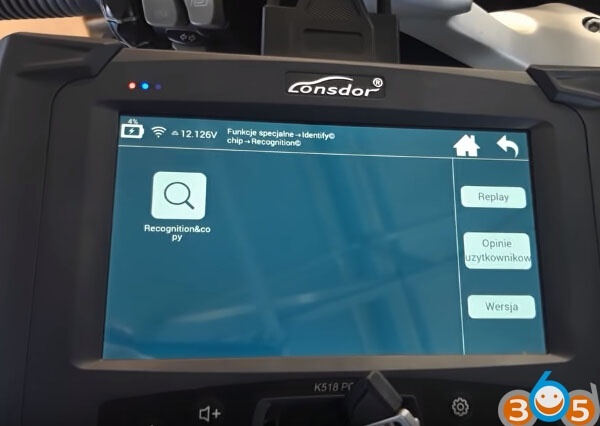 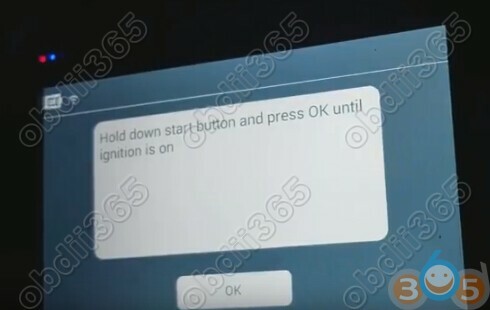 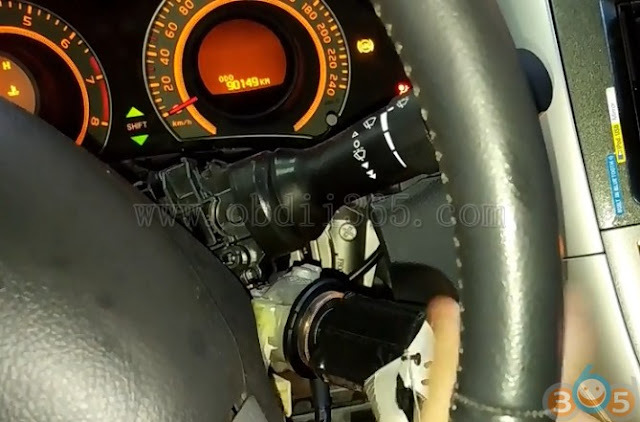 How to: read pin code and program remote key on a Hyundai Elantra year 2014 using Lonsdor K518ISE key programmer. 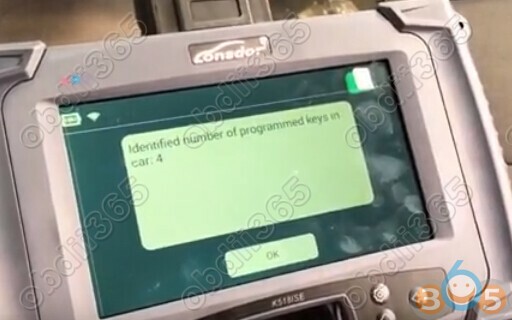 This entry was posted in car key programmer and tagged Lonsdor K518, Lonsdor K518ISE on June 14, 2018 by obd365. 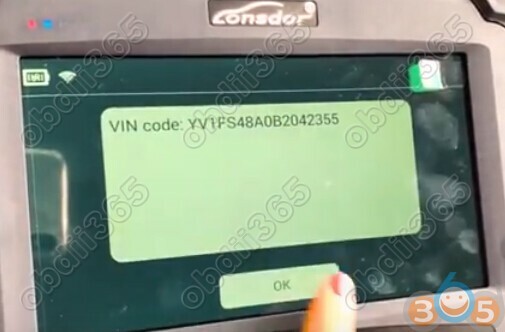 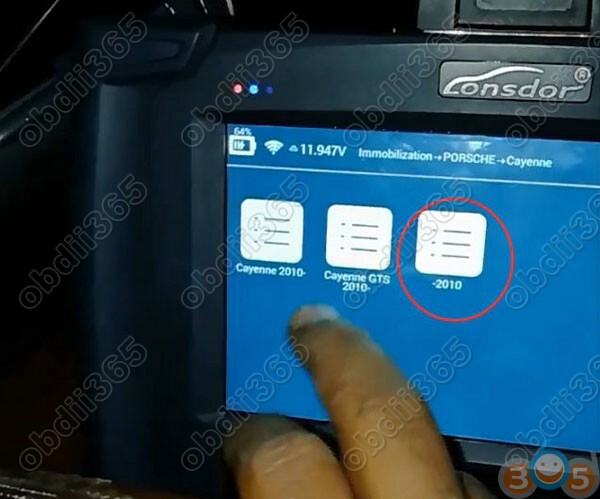 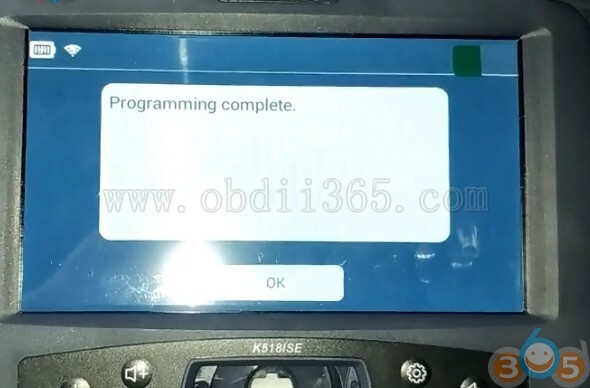 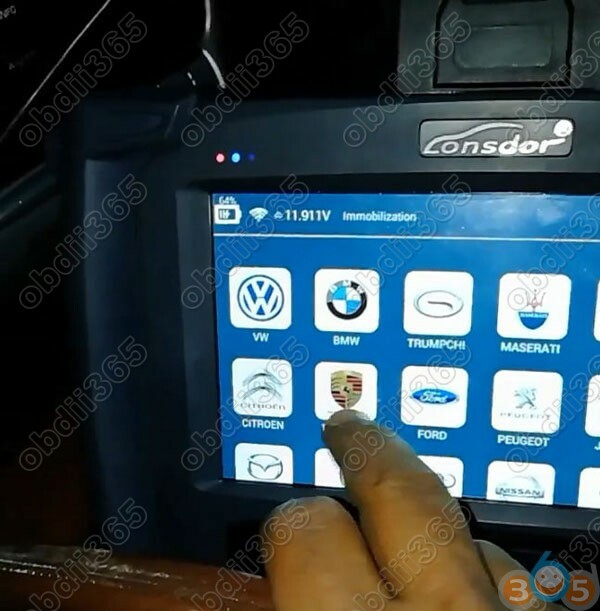 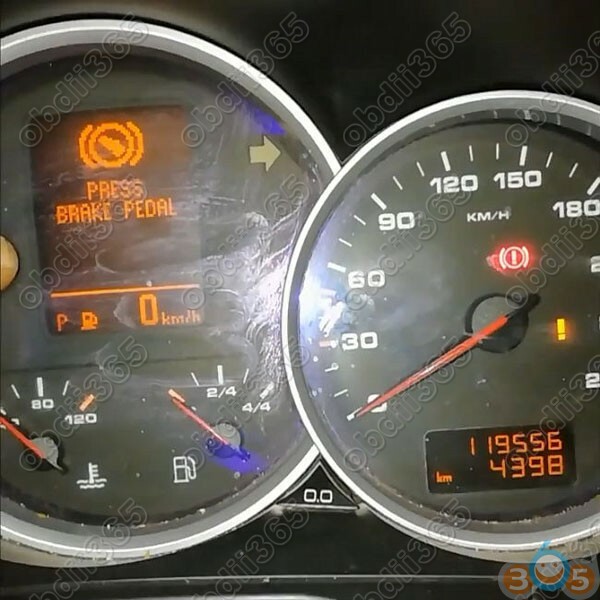 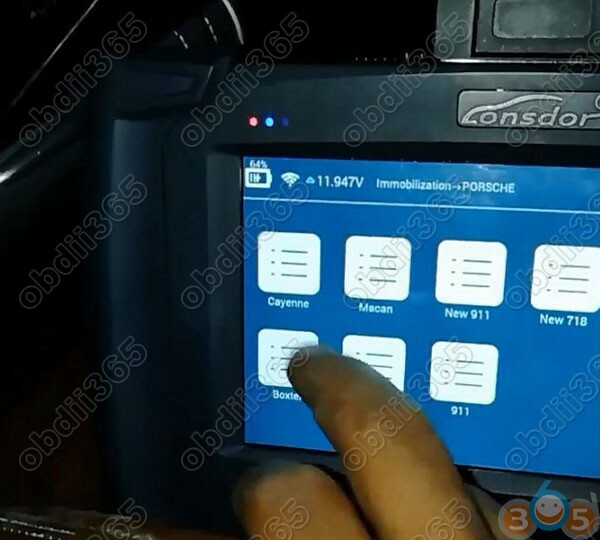 How to Program a Porsche Cayenne 2009 433MHz Continental kessy module under all keys lost situation using VVDI Prog and Lonsdor K518ISE key programmer. 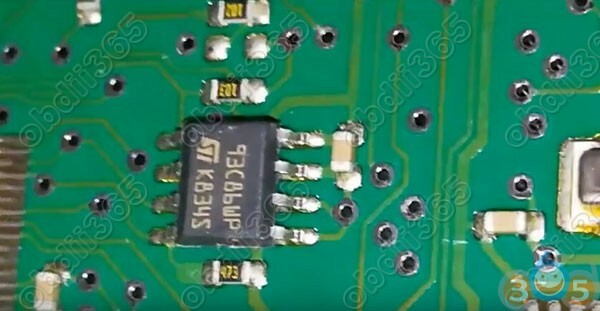 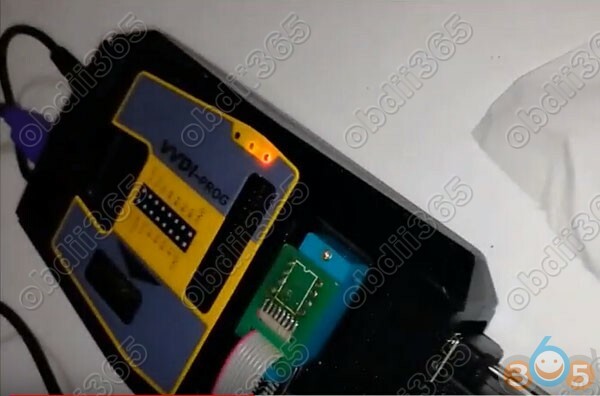 Open Kessy module and locate 93C86 EEPROM. 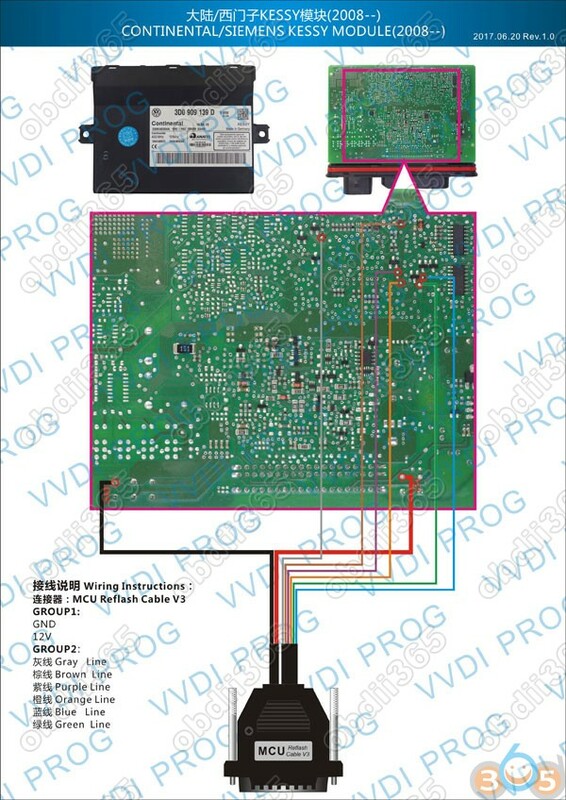 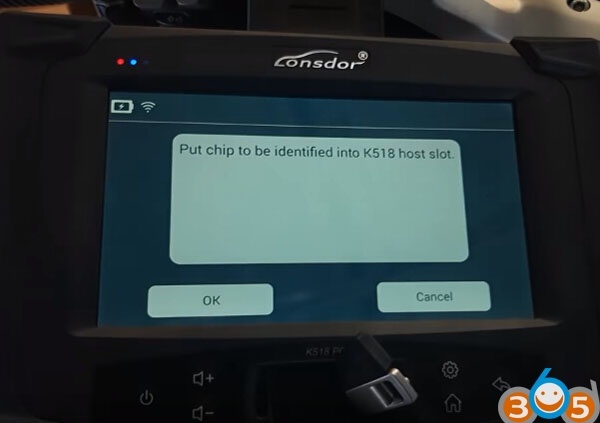 Connect vvdi programmer with chip IC 93C86. 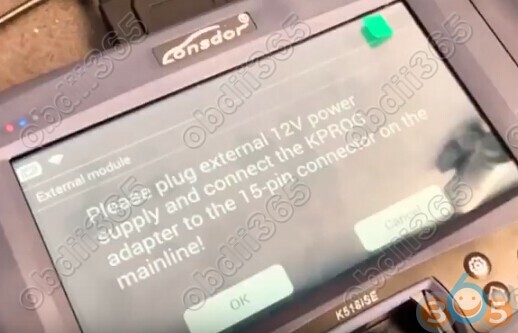 Install KESSY module back to vehicle. 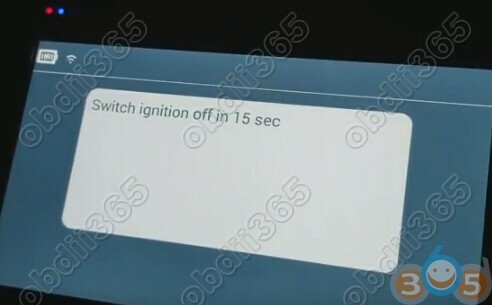 Switch ignition off, insert all keys and switch ignition on and keep at least for 5 seconds. 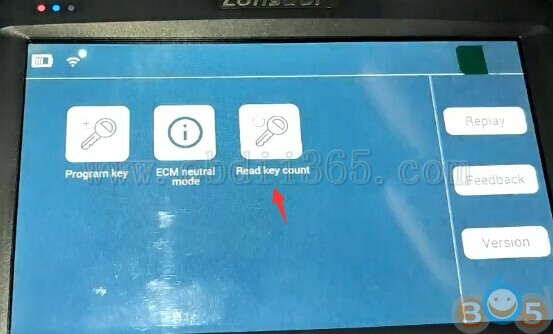 When replace all keys, press OK to finish key learning. 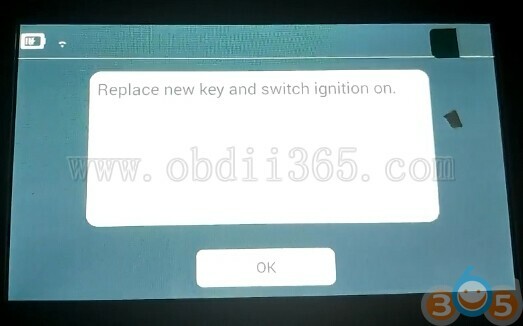 Program Porsche Cayenne 2009 remote key success. 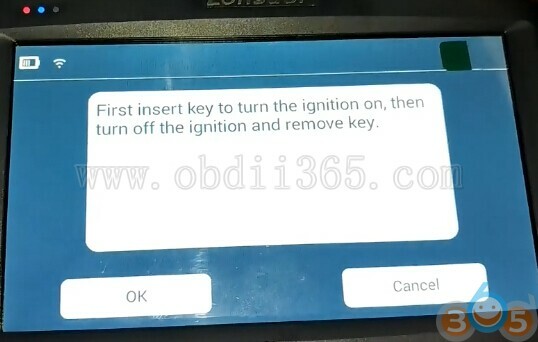 This entry was posted in car key programmer and tagged Lonsdor K518, Lonsdor K518ISE, vvdi prog on April 17, 2018 by obd365. 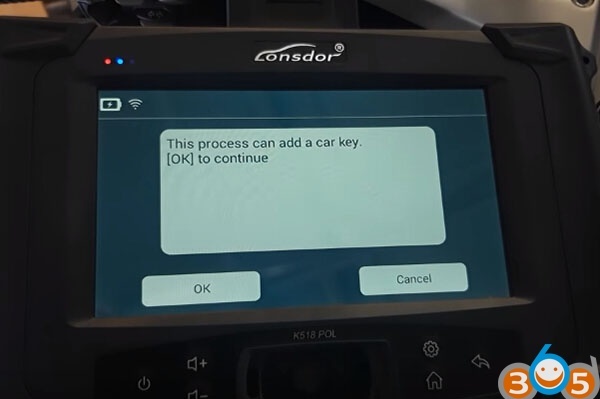 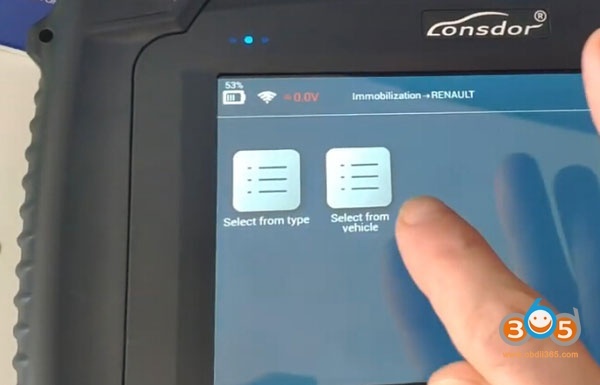 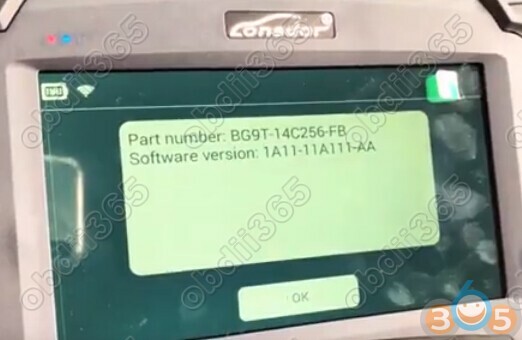 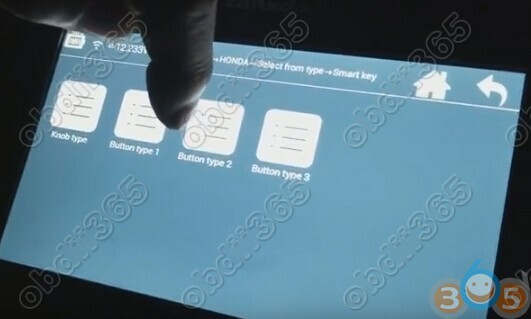 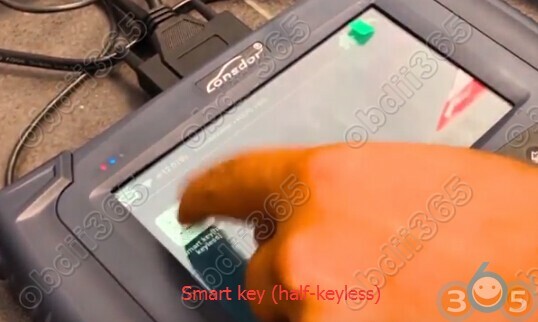 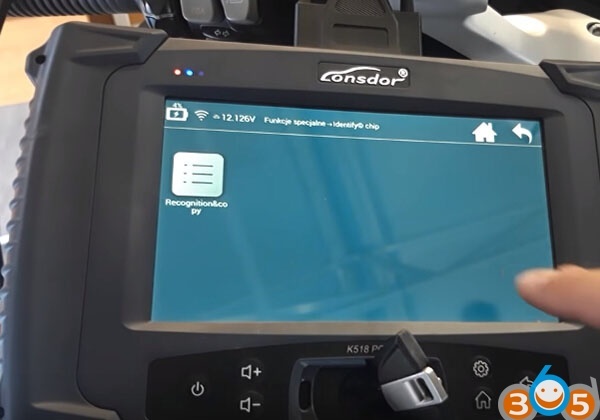 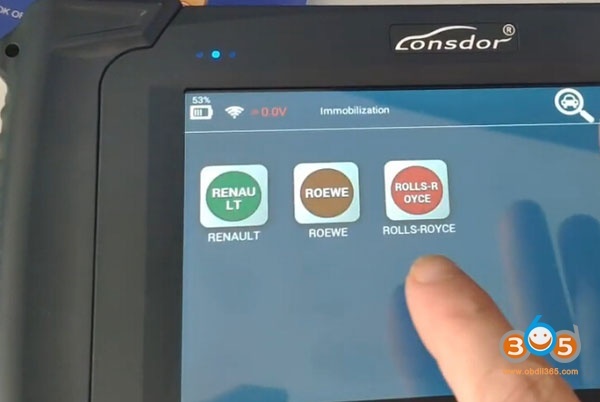 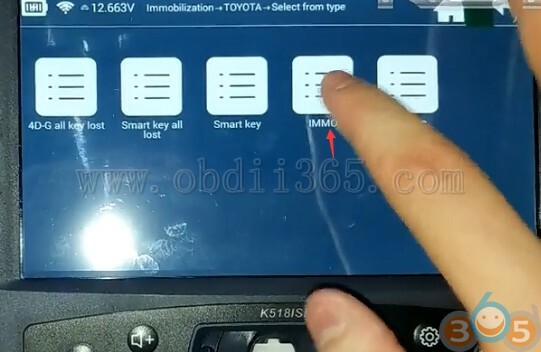 One of our customers has successfully program a smart key on a Honda N-BOX (NBOX) Japanese model using Lonsdor K518ISE key programmer when all keys lost. 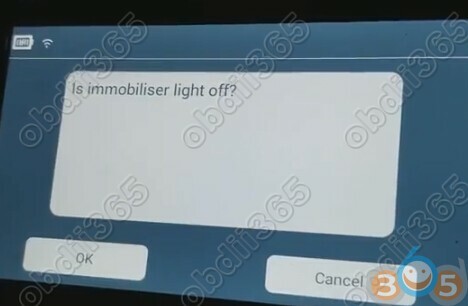 Check if immo indicator goes off. 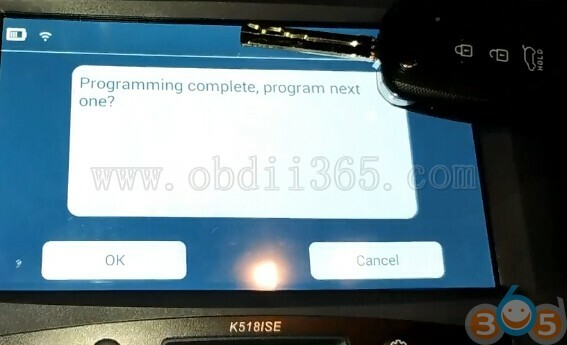 This entry was posted in car key programmer and tagged Lonsdor K518, Lonsdor K518ISE on March 15, 2018 by obd365. 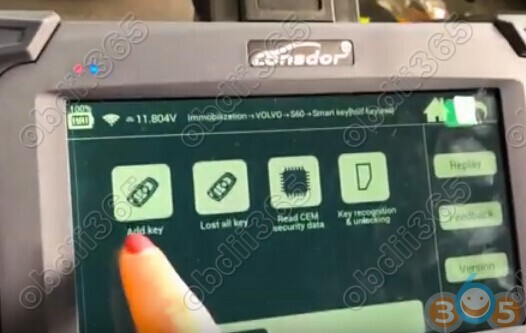 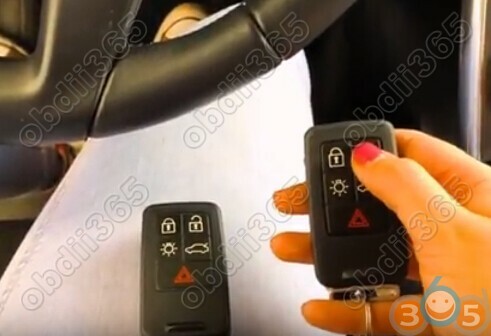 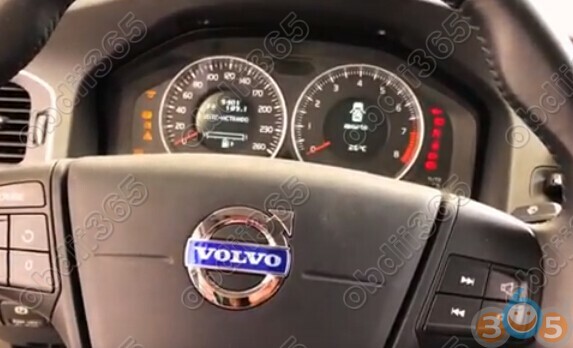 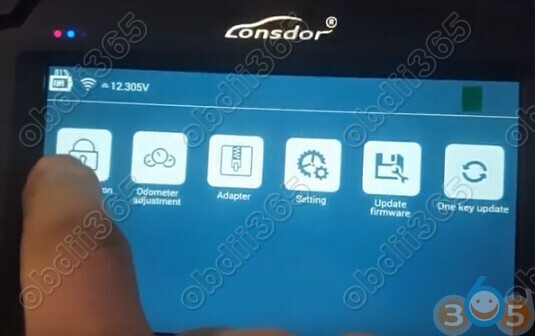 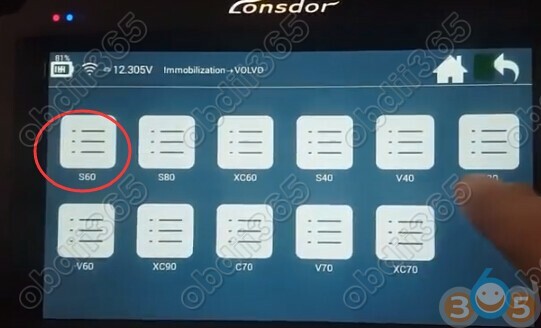 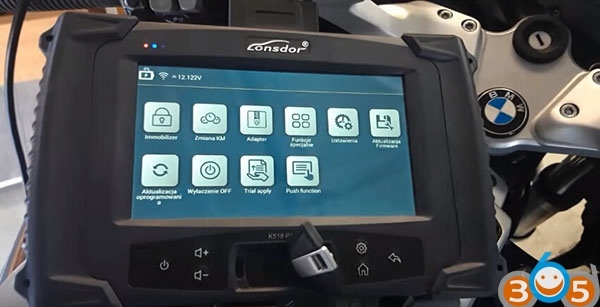 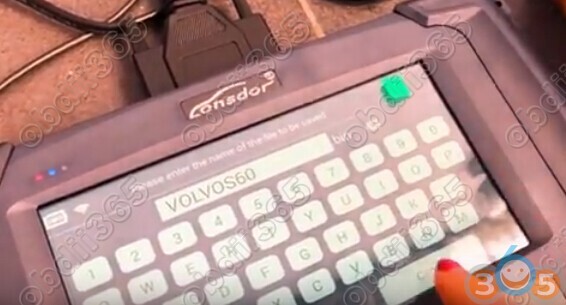 Here’s the operation guide of Volvo S60 2013-2016 half-keyless smart key programming with Lonsdor k518ISE key programmer. 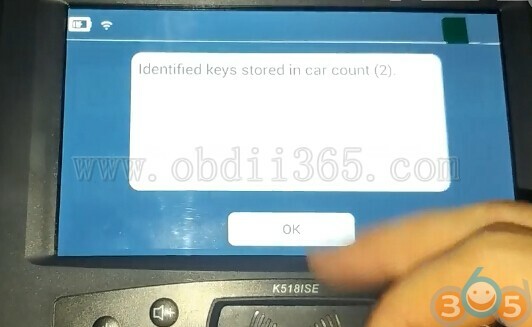 This entry was posted in car key programmer and tagged Lonsdor K518, Lonsdor K518ISE on March 1, 2018 by obd365.